Do you have a recipe that you swear your going to give to family and friends one day. You know, when you finally get around to actually measuring the ingredients out, instead of your usual a little of this a little of that concoction. Well, this Classic Turkey Chili is my personal favorite chili recipe that I never actually measured until just the other day. I’m finally sharing the recipe with everyone because one, I finally forced myself to measuring the ingredients, two it’s just that darn good, fresh and healthy. This turkey chili has become a staple in my meal rotation and I’m elated to finally share with everyone my love for this amazing one pot chili recipe. I have to admit, I took the picture for the chili topped with sour cream, but for myself I prefer not to add any. I love to douse my big bowl of chili with tons of cheddar cheese and chopped green onion. For the kids the sour cream seems to mild out the spicy flavor, making the chili more kid friendly. Whether you top the chili with sour cream, cheddar cheese, green onions or nothing at all (which is still awesome) I’m betting your going to want to make this over and over again. Highly encourage you to check out my easy and scrumptious recipe for Green Chiles N’ Cheddar Corn Muffins! 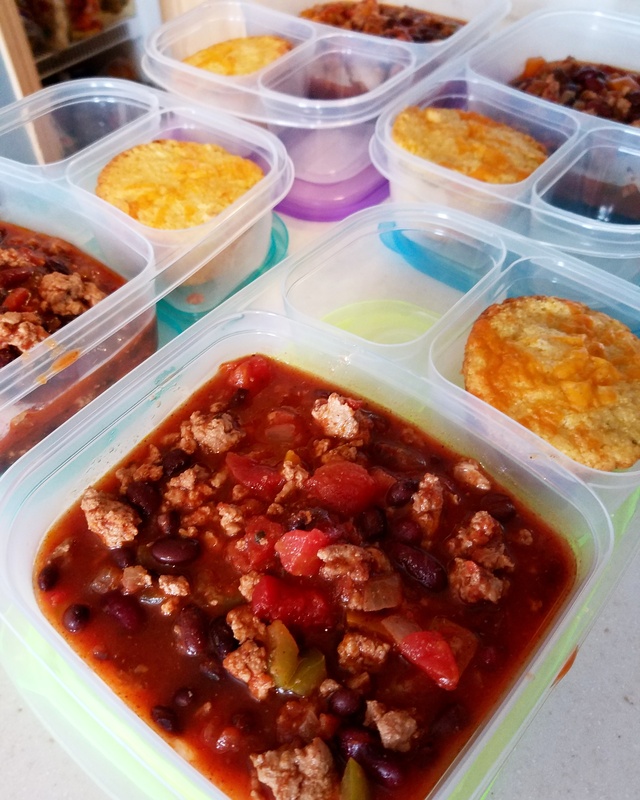 Another added bonus… This Chili makes a great meal prep for freezing! Don’t wait, indulge today in this healthy, delicious and comforting Turkey Chili!